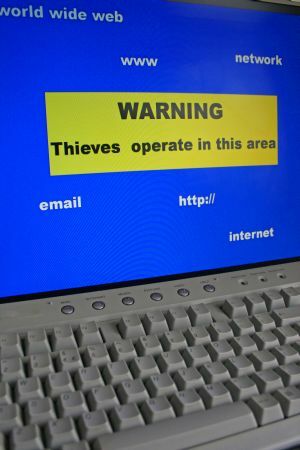 You are here: Home / Mystery Shopper Scam / Mystery Shopper Scams – Could You Be a Victim? Have a better than average knowledge about the topic involved in the scam – This may not be true with the mystery shopper scams; however, it is commonly true in scams involving a lottery or investments. Spend more time analyzing the scam then non-victims – This may reflect the fact that people who do not fall victim to the scam it immediately recognize it as a scam and give little or no thought to it. Recognize that there is something wrong with the offer and they are taking a gamble – Often, though, the size of the promised reward causes them to ignore the little voice in their heads and take a chance that it is in fact legitimate. Do not discuss the scam offer with others – Perhaps this is because they intuitively know that there is something wrong with the offer, and they do not wish to risk someone else pointing out the flaws in the offer to them. How can you avoid being the victim of a scam? Do not take the information in an offer at face value. Scammers who will steal thousands of dollars from you will lie about who they are, and what organizations they are affiliated with. Do not assume that because they use the names of trusted organizations they have any association with those companies. Investigate before you commit. Go online and do a search. For example, a search for “mystery shopper check” turns up dozens, if not hundreds, of warnings describing exactly how the scam operates. Talk to people you trust to get advice about other ways you might check out the offer. Most importantly, listen to your little voice. If something sounds too good to be true, it probably is. went along with mystery shopper scam, cashiers cheque one. alarm bells tingled when i enquired for more info and was given a politicians evasive answer, then the envelope containing the cheque was post marked gatwick with my name and address on a sticker which along with the stamp looked like a monkey had put it together. the deal breaker for me was when “Warren Bush” phoned me on a withheld number and could hardly speak a word of english. I was at the bank doing some personal banking when my mystery shopper ears went on high alert. I was at the teller window when a customer came in to speak to a personal banker about a check she had received asking her to cash it and send them the money. I overheard all this, naturally curious and knowing, I waited outside for her to leave and questioned her about it. She said the company, Polaris MRC, is listed with the BBB but does not have a rating. During the course of our brief conversation, she mentioned that she thought about doing mystery shopping, because the company she works for gets shopped. If you would like to see the high quality a scam can have, check our scam warning page at http://www.ispymysteryshoppers.com. We put it up specifically to fight the scammers and help people not become victims. We take this a little more personally since they have used our company name as part of their scam and we know at least a few people who have lost thousands of dollars when they didn’t listen to their inner voice and fell for this “too good to be true” offer. I have just been saved from a scam. I relied on my bank as well as the friends at the IGA, for the Western Union. I made them wait until the checks cleared, which was a week, then I was going to send the money out and the bank stated the checks were bogus. The phone contact called as soon as I left the bank and when I told him what the bank said, he hung up on me.So thanks for the warnings to be careful.Thanks again. Nancy.